Imagine if all your good managers became great leaders. When you have leaders at all levels, and not just at the top, productivity climbs and the atmosphere improves throughout your organization. Good management skills are a start. But that's not what makes you a leader. What makes you a leader is the willingness of others to follow you. And this requires respect, admiration and many other intangibles that go into true leadership. Fortunately, even though not everyone is a "born leader," every manager in your organization has the potential to become a leader. 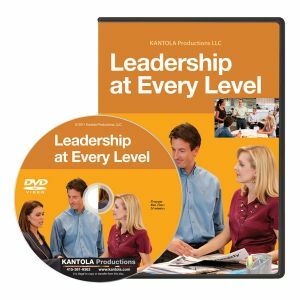 This leadership training video begins by demonstrating successful management styles: direction, influence, collaboration, and delegation. It then explains how your setting and your subordinates determine which management style is most appropriate for your situation -- and the need to adapt to changing circumstances. Our dramatic scenes help you recognize leadership behaviors at all levels of an organization. You'll learn how to exhibit leadership by making good decisions and keeping your own emotions under control. And you'll learn the critical importance of personal integrity.